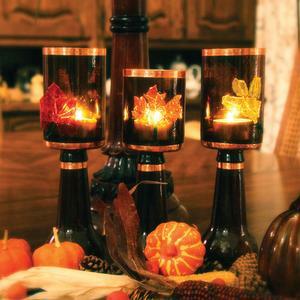 How would you like to make your very own fall bottle votives? Follow the link below to download and print this free project guide. Project courtesy of Diamond Tech. Designed by Jeanne Baruth.